Waitrose Blueprint wines are crafted to reflect the world's classic regions and styles. 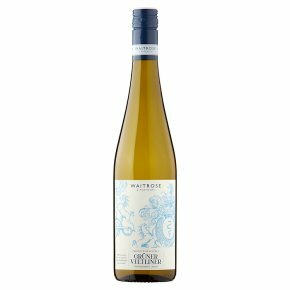 Bright and zesty, this has plenty of lime fruit character and the typical note of Grüner Veltliner white pepper spice. Ideal with lightly aromatic Thai dishes, salads, grilled asparagus, fish or poultry dishes. INGREDIENTS: gruner veltliner (98%), preservative sulphur dioxide.